Downspout Filter - Aquascape, Inc. 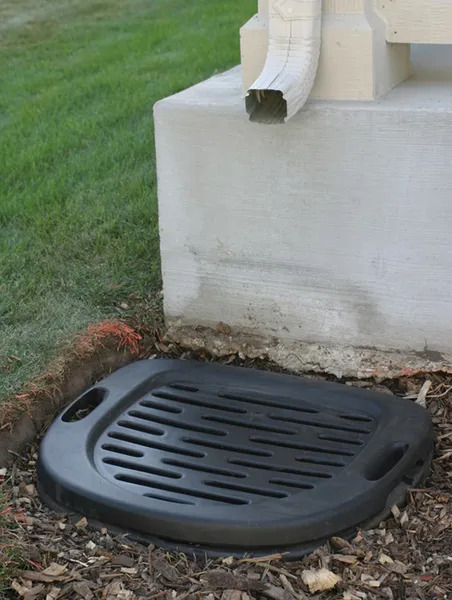 Installed and buried out of sight at the base of the downspout to capture and remove a variety of pollutants and debris that may be flushed out in the system during a heavy rain. Incoming rainwater is passed through a series of mechanical filters that remove leaves, twigs, seeds, and small sediment that accumulate on the surface of the roof between rain events. 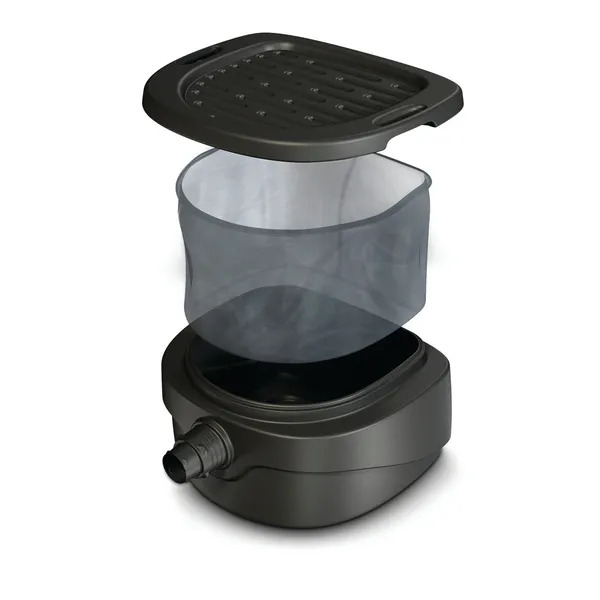 The first stage of filtration consists of a grated lid and layer of gravel (not included) that remove larger debris. The second stage of filtration is a 300-micron net that effectively removes finer particulate such as sediment composed of roofing material, dust, and other debris. Filtered rainwater then discharges into the rainwater harvesting system. 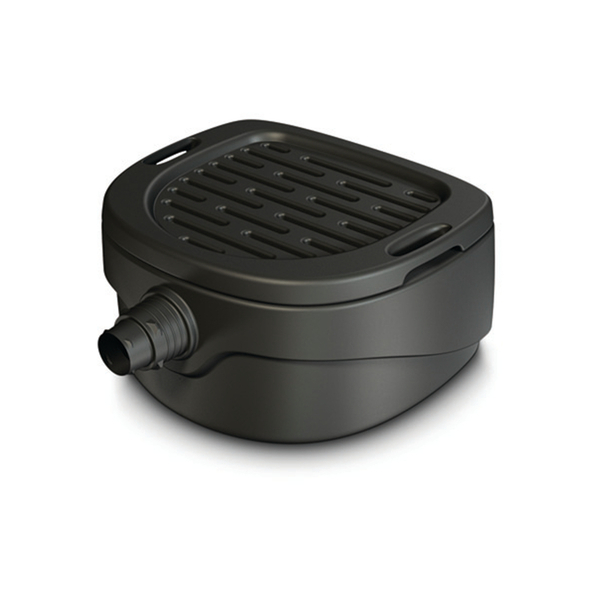 The filter includes a molded hose tail that can accommodate 3″ or 4″ corrugated drain pipe. Aquascape is passionate about the products we produce, providing unique products, designs, and features that stand above the competition.